The other day we received this message down the wire. We always give a listen to music that’s sent to us. And often times we listen only to a song or two. Maybe three. This time we kept listening to Cole DeGenova’s album “Another Country” over and over again. What initially starts as a poppy neo-soul slowly develops into very creative and rich fusion that also adds blues, funk and jazz (especially in Blues No More and Decolonized Minds). Musician, poet, and songwriter Cole DeGenova has spent most of his life crafting his eclectic artistic voice. Born in Chicago and growing up in a family of musicians and artists, DeGenova began playing piano at age four and spent his childhood studying classical piano, the jazz and blues of his hometown, and the pop music of The Beatles, Stevie Wonder, and D’Angelo. By age 15 he was playing professionally in jazz and blues clubs on Chicago’s South Side. His prodigious talents led him to study at Berklee College of Music in 2005 where he trained further with jazz piano great Danilo Perez. After forming his funky alternative soul group Cole DeGenova & The Peoples Republic with fellow Berklee students, they released their first album JUST PEOPLE AGAIN in 2009. Three years later, and after thousands of miles of road covered, his second album, ANOTHER COUNTRY, is here this summer 2012; an inspired culmination of lessons learned on the road, soulful melodies, and the infectious grooves of his band. 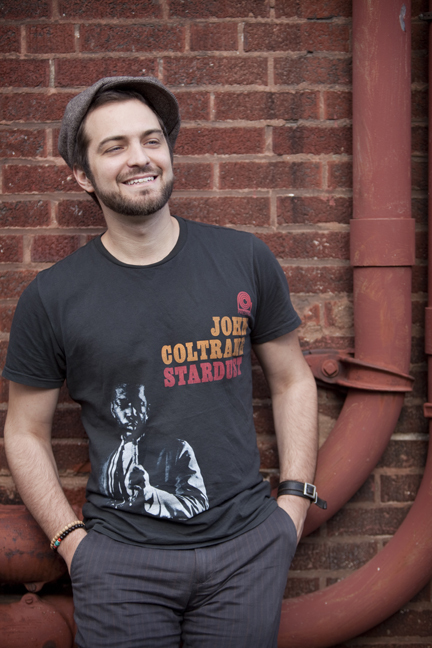 A troubadour in the truest sense, Cole DeGenova has performed alongside or opened for the likes of Saul Williams, Kurt Elling, Patricia Barber, Maurice Brown, Snarky Puppy, The Alabama Shakes, Meshell N’degeocello, Paula Cole, J Davey, and rapper the GZA.